While most herbal immune tonics are typically odiferous, pungent, or bitter, elderberry stands alone as a sweet, pleasant berry, making it popular with children and adults alike for immune support during the winter months. Also known as Sambucus Nigra, black elderberry is a deciduous shrub indigenous to Europe, where it's commonly made into syrups, cordials, and jams that are both healthy and delicious. 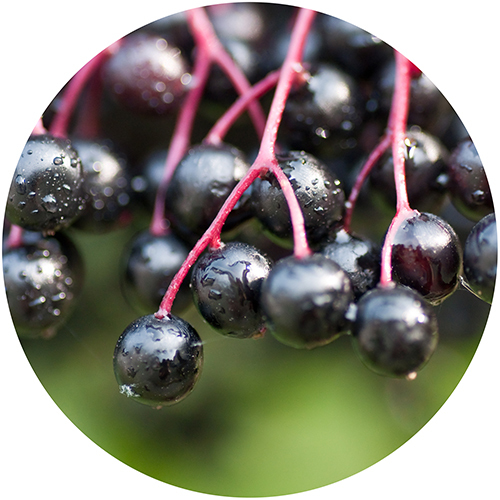 Strong naturally occurring pigments called anthocyanins give elderberry its distinctively dark purple hue while also imparting various immune boosting, detoxifying and antioxidant properties.